MR. Stein Robot is a fully automated Forex Expert Advisor. The robot strategy is based on price levels' breakout with smart Take profit and Stop loss. 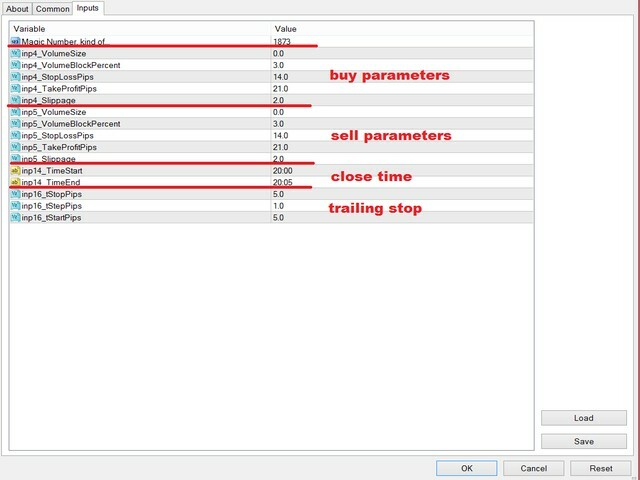 Take profit is always 21 pips and Stop loss is always 14 pips. The robot is most efficient on EURUSD H1. The risk is moderate. The EA shows good results with only 3% of risk. Of course, you can increase risk % but I suggest no more than 5%. Long-term tests showed a small drawdown %. The robot only works on EURUSD. If you have a question or need help, fell free to contact me. 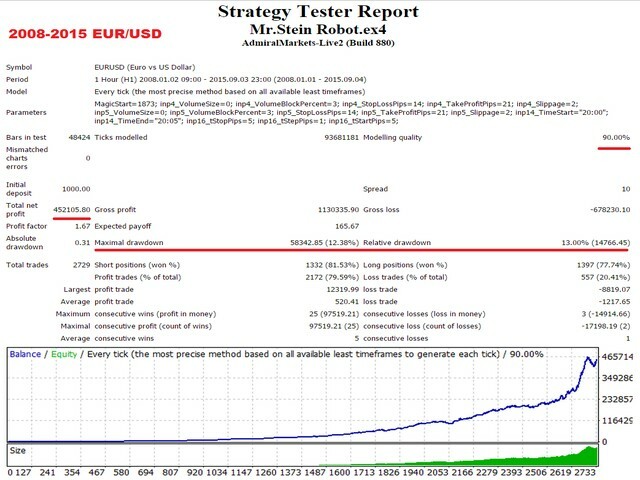 Stunning Backtest, one of the few EAs that respects published data, programmed with great intelligence, I've done a great number of great backtests, now I've put it in VPS in a couple of months I'll update the review, I'm very happy at the moment.